Stuart Rose has spent all his career in retail joining Marks & Spencer plc in 1971. He left to join the Burton Group in 1989, becoming a director in 1993. Following the Group’s demerger in 1997 he became Chief Executive of Argos plc during the bid by GUS. In 1998 he became Chief Executive of Booker plc which was merged with the Iceland Group in 2000. He then became Chief Executive of Arcadia Group plc in November 2000 and left in December 2002 following its sale to Sir Philip Green. 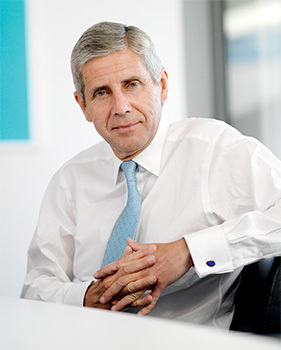 He was named Chief Executive of Marks & Spencer plc in May 2004 and became Chairman in 2008, standing down in January 2011. He was Chairman of The British Fashion Council from 2004 – 2008, Chairman of Business in the Community from 2008 – 2010 and a Non-Executive Director of Land Securities from 2003-2013. He is Chairman of Ocado, Fat Face, Oasis Healthcare Group and a Non-Executive Director of Woolworths (South Africa). He is also Chairman of The Healing Foundation, a medical charity. Stuart was knighted in 2008 for services to the retail industry and corporate social responsibility and made a life peer, Baron Rose of Monewden in September 2014.